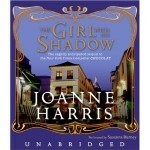 The Girl With No Shadow by Joanne Harris. Originally published in the UK in 2007 under the name The Lollipop Shoes, Doubleday. 464 pages. HarperCollins. 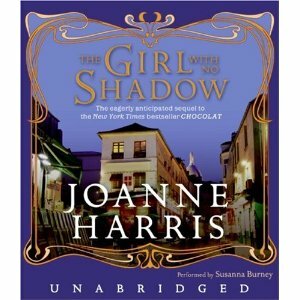 After finishing Incarceron, I’ve moved onto reading The Girl With No Shadow by Joanne Harris, a continuation of the international bestseller Chocolat, four years after they departed from Lansquenet. 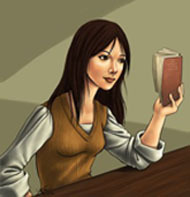 The thing I love about this novel is that in every new chapter, the point of view alternates between three main characters; Yanne Charbonneau (previously under the fictitious name of Vianne when she resided in the former village of Lansquenet), owner of a chocolaterie in their new migrated destination on Montmartre Street, Anouk, her daughter of quiet rebellion, and a novel stranger, Zozie de l’Alba, who bears a peculiar yet fashionable edge to her style and who blows into their lives like a warm, exhilarating wind, equipped with an outward charm of goodwill but a devious intent of her own that will, unbeknownst to them, turn their lives upside down. Though Vianne, engaged to her landlord, one who bears a straight-laced sense of propriety, is determined to have a normal life, Zozie de l’Alba (who, underneath an ornament of warm charm gives an impression of compassion) threatens to undermine and unravel it all. First of all, who hasn’t felt this way, when karma doesn’t seem to give each person their fair share of the boomerang effect? So on this note, and only this one note, I can relate to her, but I find it exciting that it gives another glimpse, a sneak peak of what’s to come in the coming chapters.